The DfT have released the winning bids for the latest round of LSTF to cover 2015/16. This grant only covers revenue (ongoing costs), capital expenditure has been wrapped up in the Local Growth Fund. In South Yorkshire the South Yorkshire Integrated Transport Authority (ITA) submitted the bid along with the Passenger Transport Executive, Barnsley, Doncaster, Rotherham and Sheffield. Total project cost of £6.325 million, with £1.479 million from local contribution and £4.811 million from the LSTF grant. 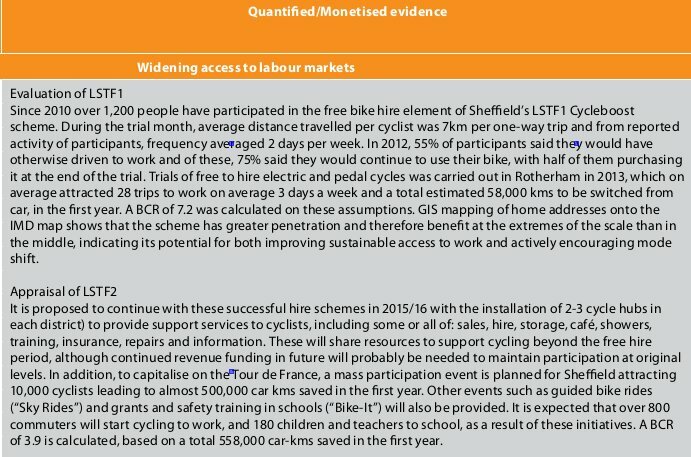 The cycling element makes up 35% of the total scheme and consists of supporting 2-3 cycle hubs in each district (presumably Sheffield, Rotherham, Doncaster and Barnsley) which will have a shop, parking, bike hire, cafe, showers, training, repairs etc. 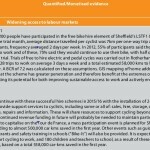 The Cycle Boost scheme looks to continue, and I think a Sheffield Sky Ride event will come from this budget. 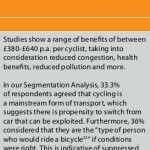 The benefit cost ratio is calculated as 3.9 but I think most of this comes from the mass participation Sky Ride event, the stated benefits of which seem to be a little dubious! 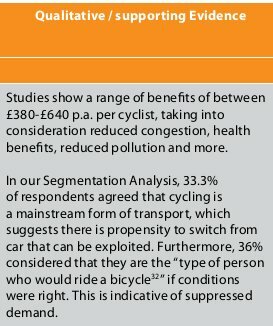 In addition, to capitalise on the Tour de France, a mass participation event is planned for Sheffield attracting 10,000 cyclists leading to almost 500,000 car kms saved in the first year. 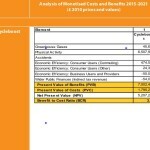 A note on the costs of LSTF. 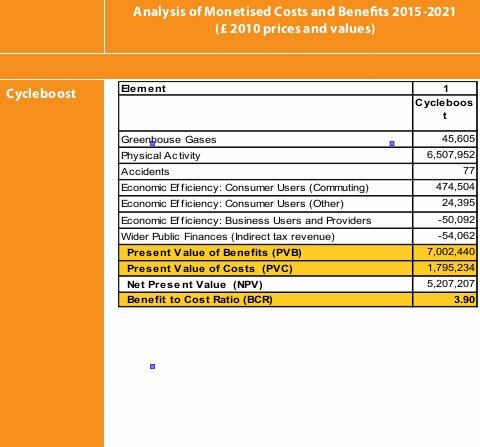 The local and LSTF contributions to the Cycle Boost Hubs don’t add up to the total cost, £34,000 is missing! 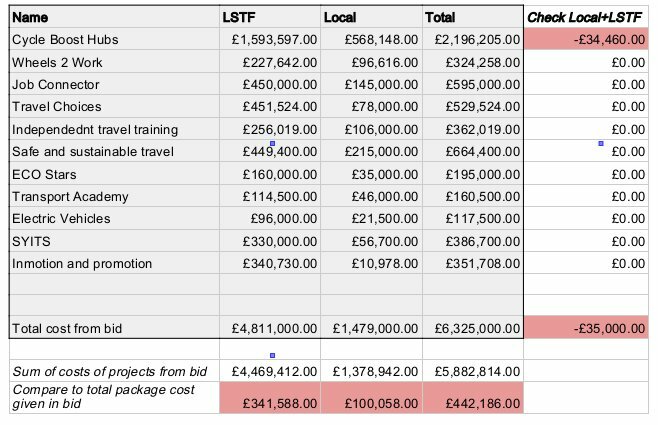 The total LSTF project cost when adding up the schemes come to £442k less than the stated full scheme cost, where is this almost half a million pounds going? LSTF Project Costs not adding up? On another note, transparency surrounding this application has been very poor. I had to submit an FOI request to a local authority to get a copy. It has been published on the internet, but at an unpublished url of http://www.inmotion.co.uk/lstfbid which isn’t included in the sites sitemap or linked to any news article or press release! On yet another note, the DfT originally stated that they would provide £78.5m to LSTF projects, but only £64m has been allocated! Where is this missing £14.5m? This entry was posted in budgets, lstf on July 15, 2014 by Matt. I guess that’s right, I’d not thought about it in that way! However, one has already been opened in Sheffield station, the bike shop part of it (and rental) is a private business, I think they’ve funded the creation of the space, parking, changing facilities etc. I’m not sure what it will be like for the rest of them though.